Clone Classic Cuts continues their re-issues series for one of the most influential techno acts ever: Drexciya. The second selection of tracks includes favorites such as Bang-Bang.Positron Island.Anti Vapour Waves and Journey Home complimented with some lesser or unknown tracks. Raw. 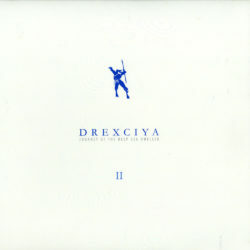 uncompromising music made with soul and creativity have always has been the trademark of Drexciya (and also from their original label Underground Resistance) and this album is another showcase of their talents. Btw there is not much further background info we can give. All that can be revealed is already out there.